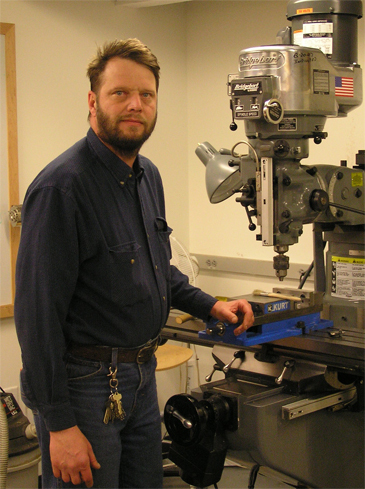 30 + years as a machinist, technician, and engineer for Industrial, Commercial, Aerospace, and DOD applications. Specific Topics Covered: Theory and operation of manual and computer controlled machines used in industry, manufacturing methods and applied technologies used to design and create products, material applications and properties, interpretation of drawings and technical documentation, measurement theory and practices, layout and inspection of machined products, tooling, gage, and fixture design, fabrication and assembly techniques, composite and alloy applications, heat-treating theory, casting, forging, powdered metals, plastic processes and properties, welding principles and applications. I have a small machine and electronics fabrication and development shop where various projects are designed, fabricated, modified, or repaired. As a result, many antique automobile, agricultural, and manufacturing machines have been given a chance to continue to be operational. Assistant Scout Master BSA Troop 4 New Hartford, Certified Pool operator for the Town of Westmoreland Pool, Planning board member for the Town of Westmoreland, Member of Kiwanis International, Westmoreland.